The Kellogg Community College Board of Trustees and Kellogg Community College Foundation Board of Directors this month elected new officers. At its regular meeting Wednesday, July 16, the Board of Trustees unanimously elected Steve Claywell as chairman, Jill Booth as vice chairwoman, Matt Davis as treasurer and Reba Harrington as secretary. Other members of the publicly elected Board of Trustees include Jonathan Byrd, Brian Hice and Julie Camp Seifke. 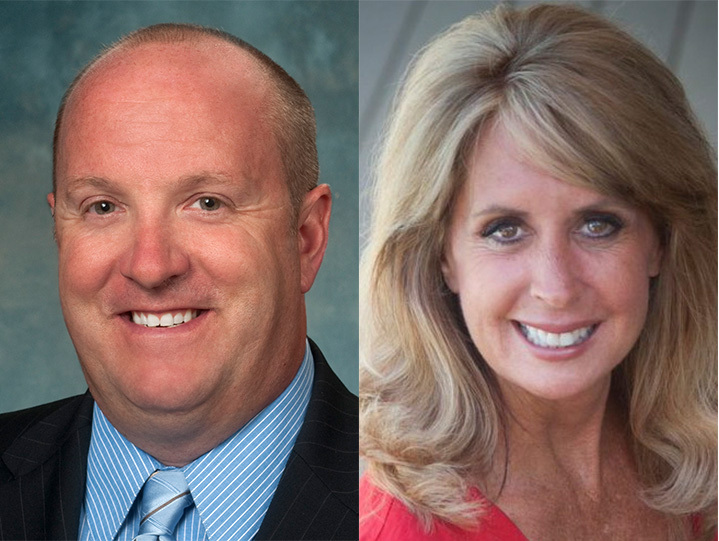 During its July 8 meeting, the KCC Foundation Board, which provides oversight of the nonprofit scholarship organization, elected Kathy-Sue Dunn as chairwoman, Jon Melges as vice chairman, Steve Claywell as secretary and Rick Scott as treasurer. Other appointed members of the Foundation Board of Directors include Mike Beckwith, Dennis Bona, Jill Booth, Matt Davis, John Dilworth, Eric Greene, Brenda Hart, Mark O’Connell, Joe Schwarz, Andrew Schweitzer and Erick Stewart. The executive director of the Foundation is Teresa Durham. Dr. Dennis Bona, president of the College and president of the KCC Foundation Board, said he looks forward to working with the leaders of both organizations in the coming years to provide an excellent college education to thousands of area students.